IlloStories is group that originally began as IlloBites in 2018 with weekly word prompts suggested by members. By the end of the year I developed a wonderful connection (through the camaraderie of the MATS community where we were both taking courses) with Deborah Stein, of Bonbon Oiseau Workshop, and it has grown into this really fun collaboration. Our love and desire to do more children’s book illustrations and to continue growing our portfolios felt like the natural segue from IlloBites to IlloStories. We’ve created an awesome open-ended portal to explore the world of illustrating for kids and adults alike and to grow along with the group with both ready-made themes and prompts as well as encouraging group participation. We both feel so strongly that in order to develop artistic confidence, it’s imperative that you have a safe, positive environment to share your work and to receive feedback. That is what we truly hope the IlloStories community is to all who join. It is also a wonderful place for those who are seasoned illustrators to the Illo world along with those who are just dipping their toes in for the first time. 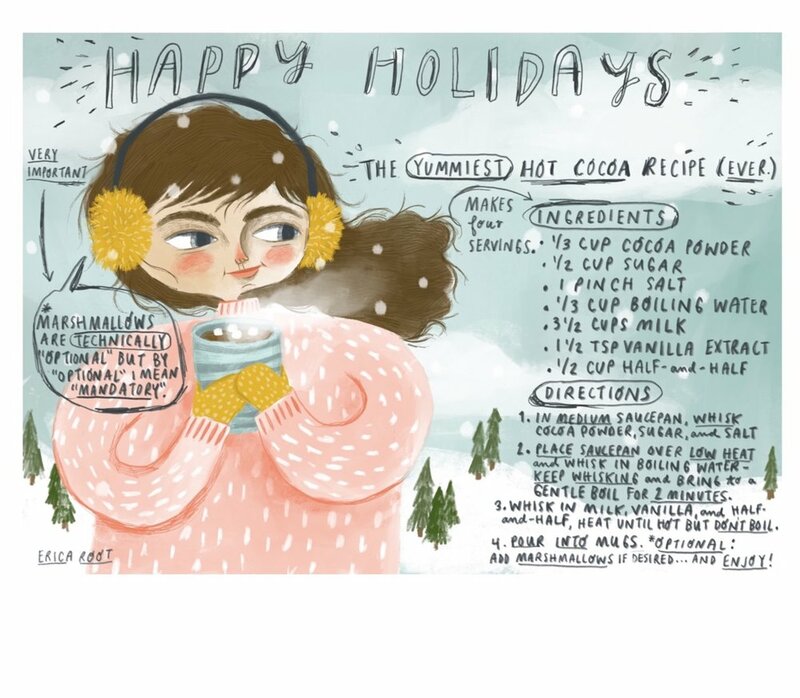 The prompts are thoughtfully created in a way that allows for all levels to work toward the same goal: strengthening our illustration skills and portfolios in a welcoming and nonjudgemental atmosphere. Our dream of making children’s books of our own along with our desire to help others find the inspiration and motivation to follow their individual artistic paths has really developed into a wonderful partnership. Click below to find out more and come join us! In 2018 I finally decided to invest in myself by taking a bunch of the Make Art that Sells courses (seriously one of the best decisions I have ever made, more about why, here) and ended up making it to the semi-finals of the Global Talent Search - what an amazing experience! Take a look at my Weekend on Lake George submission here! 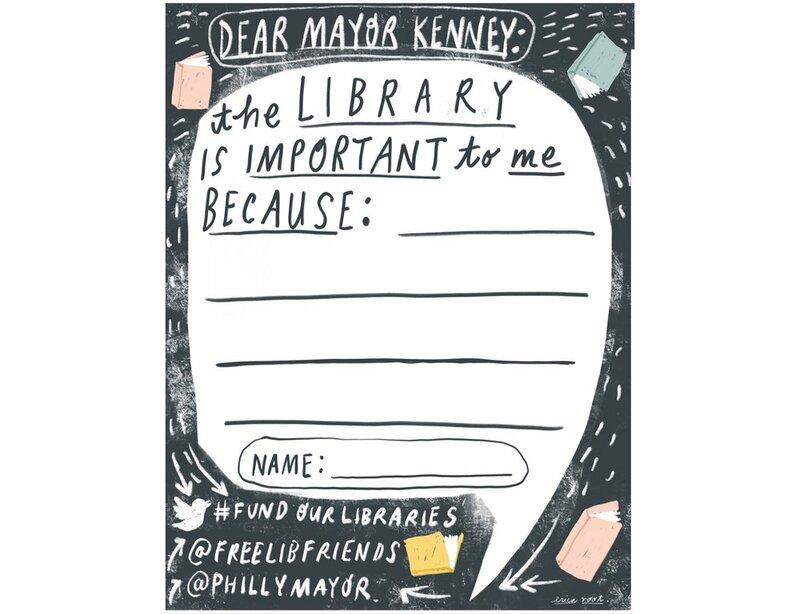 The libraries in Philadelphia are severely underfunded (and have been for a very long time). I joined up with The Friends of the Free Library to try to figure out a way to spread the word that libraries are so valuable to our communities. Click below to see what we delivered to the Mayor’s office! I was asked to speak to a group of 1st graders about what makes a good illustration. We had a really great time figuring out what questions we should ask ourselves to best tell stories through art. They were so attentive and loved the group participation element. And naturally you can’t meet with a group of 1st graders without someone raising their hand to talk about vomit and candy (as you can see from the expression on my face!). I loved creating the outline in preparation for my visit, I loved hearing their questions, listening to their thoughts about art, seeing their limitless creativity, and watching the gears turn as we discussed and took a look at some illustration inspiration. I’d really like to do more of this type of thing in the future.